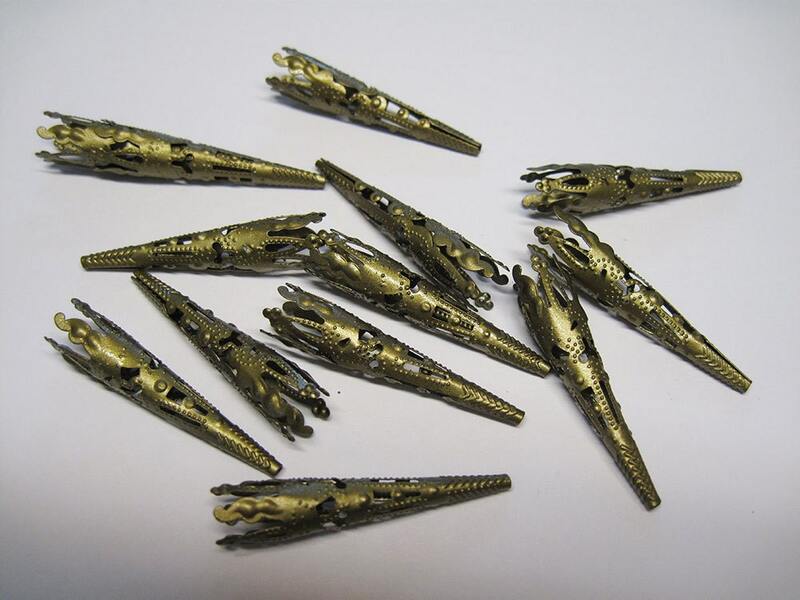 20 antique bronze finish steel filigree bead cone caps, 41mm x 8mm. Pretty vintage style filigree patterning; very light weight. Great for giving a finished look to your jewelry making, home decor and other applications! These cones were exactly what I was lookin for to fit over teardrop beads. They are very easy to open up a bit by pushing them over a jewelry anvil by hand. The shipping and delivery were very prompt.